On the 25th of October, the managing director of IZAR, Carlos Pujana, offered one of the presentations to the more than 300 professionals from the world of communication and enterprise who attended this 6th Congress aimed at industrial companies. IZAR, a benchmark in its sector, has a powerful website, which, in the words of Carlos Pujana, “has become one of our main sales tools. It is the best catalogue that we have got, with the most important messages for the market. A representative that works 24-7”. The manager of IZAR also underscored that “the first most important thing is to know our customers’ opinion, so we do regular satisfaction surveys. Then we foster those attributes on the actual website so that our users can see themselves reflected in it”. 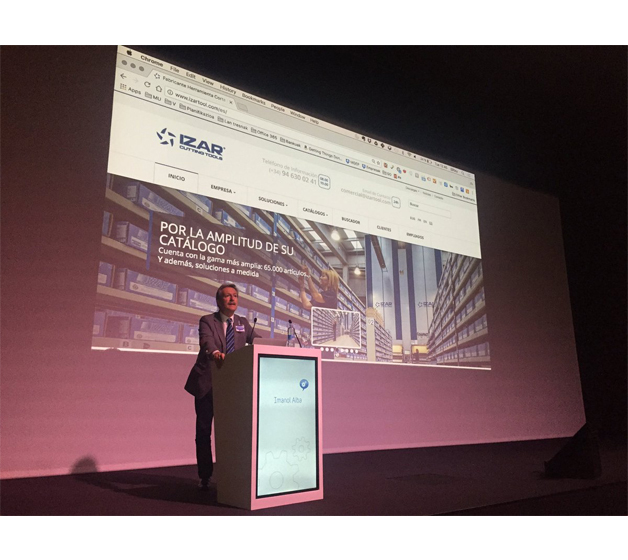 To realise how important IZAR considers its presence on the Internet, it must be taken into account that the leading cutting tool manufacturer is now on its fifth website in 16 years, a continuous improvement that Carlos Pujana also reflected in his presentation, which was acclaimed by all those present: “The key is to continuously update the site, to align it with the company’s business objectives at all moments in time”.